16th May 1782, Norwich, England. 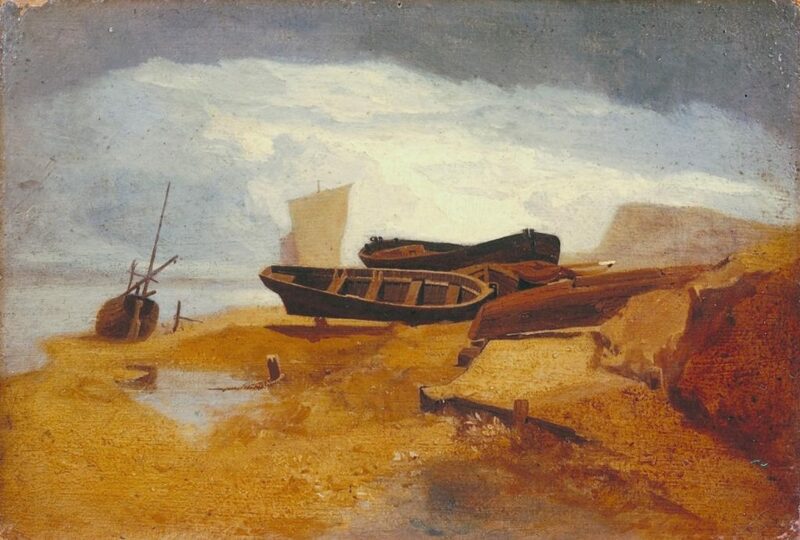 Cotman was the son of a well-off merchant. 1798 sent to London to study painting and met J.M.W. Turner and Girtin. 1798: Cotman went to London to be an artist and was employed by Rudolph Ackermann at the Depository of Arts in the Strand. 1800: Staying in Wales with the well-known collector Sir George Beaumont. 1803-05: Visited the Cholmeley Family of Brandsby Hall, Yorkshire. 1806: Settled back in Norwich where he opened a school of drawing and design. Became Vice President of Crome’s Norwich School of Artists. Also became drawing master to the banker and antiquarian Dawson Turner in Great Yarmouth. 1816-1818: “Architectural Antiquities of Norfolk”. 1819: Wrote “Sepulchral Brasses in Norfolk and Suffolk”. 1820: Plates for Dawson Turners “Tour in Normandy”. 1822: Plates for Dawson Turner’s “Architectural Antiquities of Normandy”. 1834: Cotman became Professor of Drawing at Kings College, London through the offices of Lady Palgrave, Dawson Turner’s daughter. 1838: “Liber Studiorum” (48 soft-ground etchings). 1805: “Greta Bridge” (British Museum). 24th July 1842, London, England. St. George’s Church, Wellington Road, St. John’s Wood, London, England.